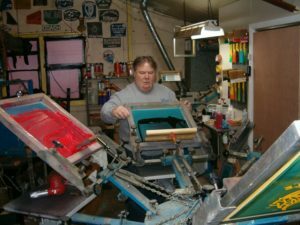 Silk Screen Stuff was started in 1985 by Larry Bowen who lived by the motto “a dollar more you go first class,” which he brought that thinking into this business, as in what ever it took to produce a high quality product and learn as much as we could while doing it, is what he would spend. 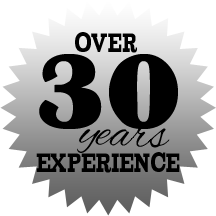 So the early days of trial and error is what has made us a very high quality producing family printing business, with our family name on the line we only have one way of doing business, and that is the best product for you the customer! Larry has passed away and left the business up to his printer and son Kevin. Hello my name is Kevin Bowen and would like to give you a little info about me to maybe make you feel comfortable about doing business with us. First I would like to let you know that I’ve been the printer, and shop manager for this business since 1987. In the first 15 years or so, one of our biggest jobs was printing around 60,000 shirts/year for the DARE(drug abuse resistance education) program. By doing that many shirts it became a very good learning time for what can work, and for sure what don’t work, so by the things we got to learn as a team that is one of the main reasons that we are as good as we are. Quality printing(prints that last), good artwork, and fair pricing are just a part of the job we provide to our customers.